I'm a little bit late posting this, but we've been having so much fun as a family of four my blog has taken a little bit of a backseat. 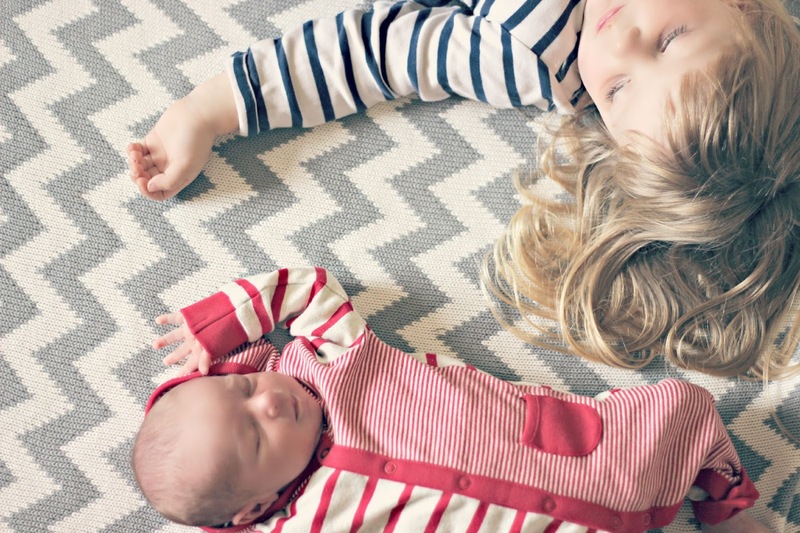 I'm hoping now we're getting used to our new family dynamics normal blogging shall resume... hopefully! 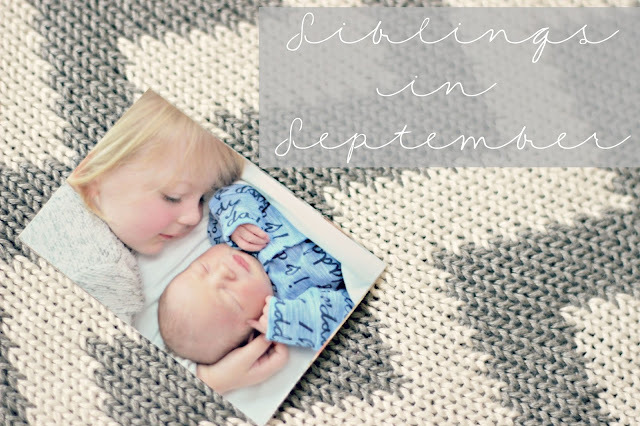 This month we greeted our beautiful baby boy into the world and Darcie was promoted to her big sister role. I have to admit she seemingly already filled those boots through my pregnancy as she fell in love with him from the moment she knew that he was growing in my tummy. 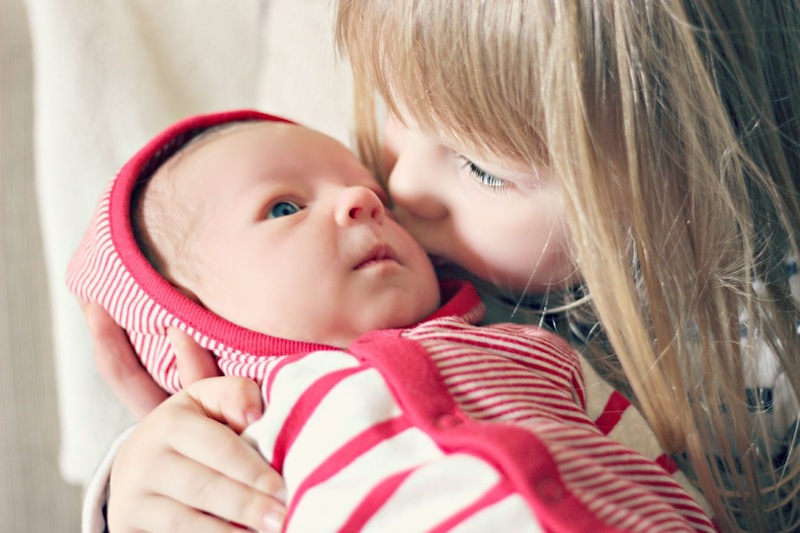 Because she clearly already had this bond with Henry I was a little apprehensive that when he actually arrived it may be a bit of an anti-climax for her, but thankfully she is still head-over-heels obsessed with her little brother! 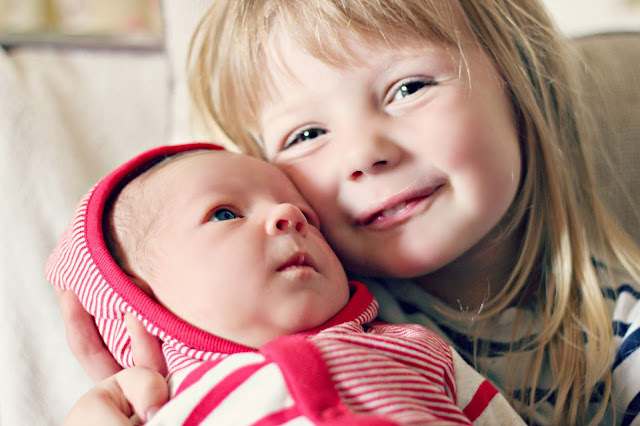 Darcie has been very helpful and takes pride in helping me and Jamie look after Henry, she likes to pick out his outfits, help with nappy changes and of course have lots and lots of cuddles with him. It really is lovely to see. Of course at the moment there isn't a lot of interaction between them with him being so shiny and new, but I can't wait for their relationship to blossom even more. Let's see what next month holds for these two.